​emulate a smartphone/tablet screen, as the game was designed with such devices in mind. 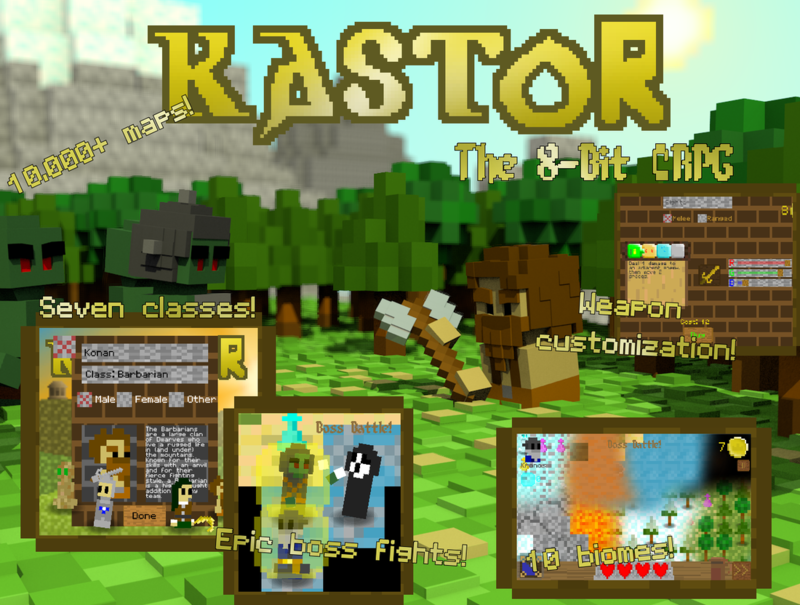 Kastor is a short (2 month) project I worked on, without quite meaning to: it only dawned on me about halfway through development that I'd started creating it. It's a turn-based roguelite, with the emphasis on map completion and weapon customization. Oh, and monsters. Lots of monsters. It's available for download on Android, Windows, and Mac. If you want to play it on another platform, drop me a comment here and I'll see what I can do. There are no ads, no IAPs, and (hopefully) no bugs. Just a load of 8-bit goodness. Who am I kidding: There'll be bugs. [:P] You can report any that you find here.